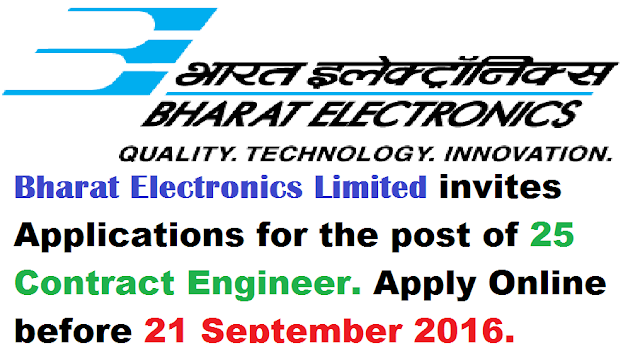 Bharat Electronics Limited invites Applications for the post of 25 Contract Engineer. Apply Online before 21 September 2016. Educational Qualification : B.E. in Electronics/Mechanical Engineering. 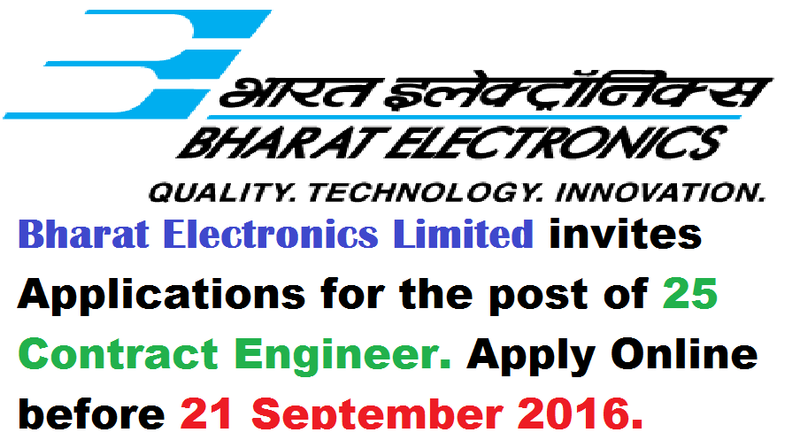 How to Apply BEL Vacancy : Interested candidates may apply Online through the website http://www.bel-india.com from 07.09.2016 to 21.09.2016 .